The industrialized food industry hopes you never discover some of the things they do. Even if you don’t eat fast or processed foods often, you’re still affected by these industries. Because of their practices, you may pay higher taxes. You may pay more for health insurance. And your friends, loved ones, and your community may be more at risk than you realize. 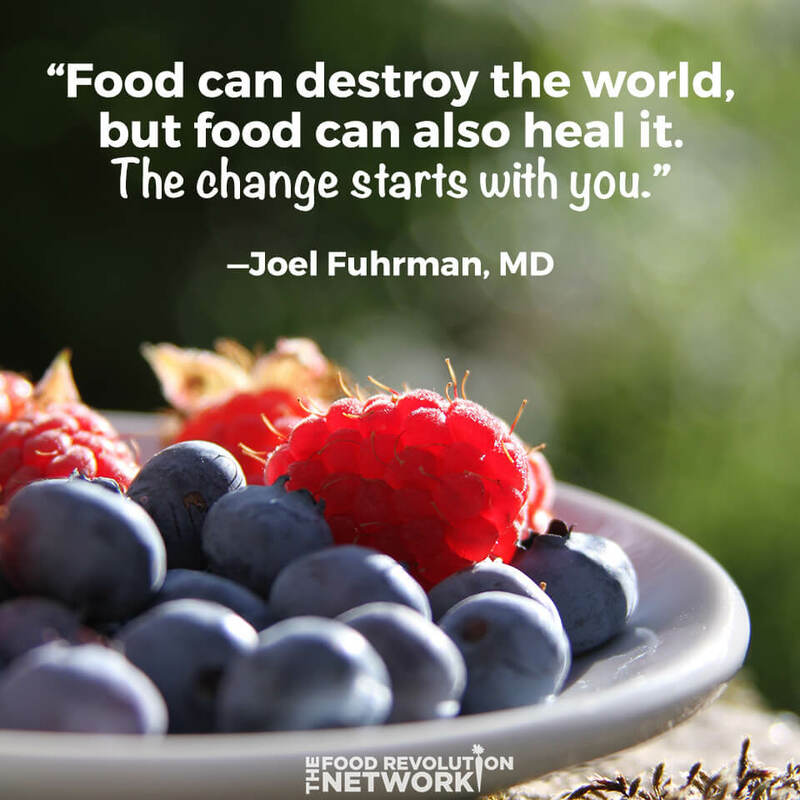 See why in this short video from Dr. Joel Fuhrman — a popular Food Revolution Summit speaker and author of the new book, Fast Food Genocide: How Processed Food Is Killing Us and What We Can Do About It. You may be aware that fast and processed foods can harm your physical health, leading to diabetes and obesity, as well as premature cardiac death, cancer, strokes, and more. And a study published in Circulation found that eating fast food one time per week increased the risk of dying from coronary heart disease by 20% — a risk that grew to 50% for people eating fast food two or three times per week. And for kids who eat fast food and processed foods, the situation may be even worse. How do fast food and processed foods affect the health of children? Children who consume nutrient-rich diets have been found to perform better academically than those who are nutrient-deficient. Children are also developing habits and tastes that will affect them as they become adults. If kids eat fast foods often, it will harder for them to break those patterns later in life. And childhood eating habits have far-reaching consequences. According to a study published in the British Journal of Psychiatry in 2009, eating candy and sweets in childhood is linked to later-life violence, drug use, and drug abuse more than any other parameter. It was found to be a more significant determinant even than being raised by a single parent or growing up in poverty. And raising children on unhealthy foods doesn’t only impact their lives, but also the lives of their descendants. 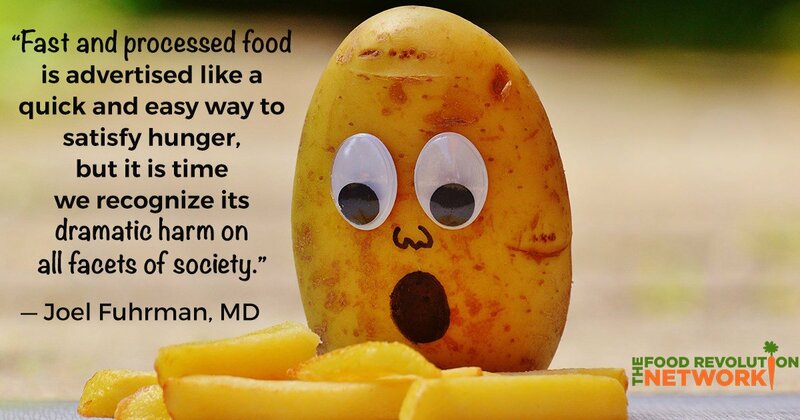 Dr. Fuhrman points out that when children eat unhealthy foods, they may be damaging their genes. Why do people eat junk foods despite the fast food health risks? But as that same Gallup poll showed, 8 out of 10 Americans eat fast food at least once a month, and 47% of Americans eat fast food once a week or more. Fast food is appealing — it’s cheap, convenient, tasty, and in many circles, socially acceptable. But the health concerns are dramatic. So why do so many people continue to make choices they know are not in their long-term best interests? Fast food and processed foods are being designed to alter our brains and drive food addiction. The science of food addiction says these foods produce the same biochemical effects in the brain that are characteristic of substance abuse. Hundreds of millions of people have come to crave these unhealthy foods. Getting educated about the negative consequences of consuming junk foods can help you talk about the fast food health risks with other people in your life. And you can set an example by saying no to fast food foods – and saying yes to healthy alternatives. Even if you’ve been eating an unhealthy diet for your whole life, it’s never too late to make a change – and to reap the benefits. Want to take your learning further? Get Dr. Fuhrman’s new book, “Fast Food Genocide.” He says it may be the most important book of his life. What’s your experience with eating fast food and processed foods? Have you experienced any issues from these fast food health risks? How can we take action to stop fast food and processed foods from growing and expanding across the world?